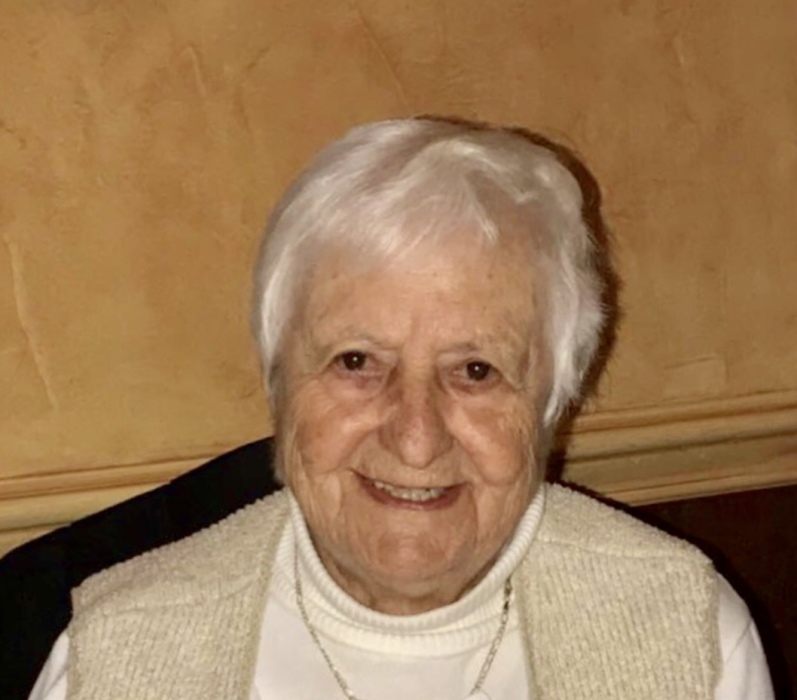 Obituary for Justine "Jeri" T. (Scavo) Cutrone | Magner Funeral Home, Inc.
Justine T. Cutrone, “Jeri”, 97, from Norwalk, CT, died Saturday, February 2, 2019 surrounded by her loving family. Jeri was born in Carbondale, PA on January 13, 1922, she was the daughter of the late Salvatore & Rose Scavo. Jeri was Salutatorian of graduation class from Franklin High School in Carbondale, PA. After graduation she moved to Norwalk with her family. She was married in 1947 to the late, John P. Cutrone. For many years they enjoyed spending time together at their winter home in Florida. Jeri was the oldest living member of the St. Ann Club in Norwalk. She was active with the St. Ann Ladies Auxiliary, St. Matthew Church, Norwalk Senior Center, the Red Hat Society and the Columbiettes Catholic Women’s Organization. She was a avid gardener, skilled cook and baker and loved spending time with her four great-grandchildren. She loved entertaining and cooking for family and friends. Jeri is survived by her only son, Pat J. Cutrone of Norwalk and predeceased by his wife, Donna. She is also survived by her two grandchildren, Gina Cutrone Franco of Norwalk and Christopher J. Cutrone and his wife Cathy of Dolores, CO, as well as four great-grandchildren, Julia Franco, Ryan Cutrone, Tyler Cutrone and Kristina Franco. Jeri is predeceased by two siblings, Paul Scavo and Rosemary Zichitella and survived by her brother, Joseph Scavo of Norwalk along with many nieces and nephews. Calling hours will be Tuesday, February 5, 2019 from 9am to 11am, followed by a prayer service at 11am at Magner Funeral Home, 12 Mott Avenue, Norwalk. Burial immediately following the prayer service at St. John Cemetery in Norwalk.